Are you a NSW public school? 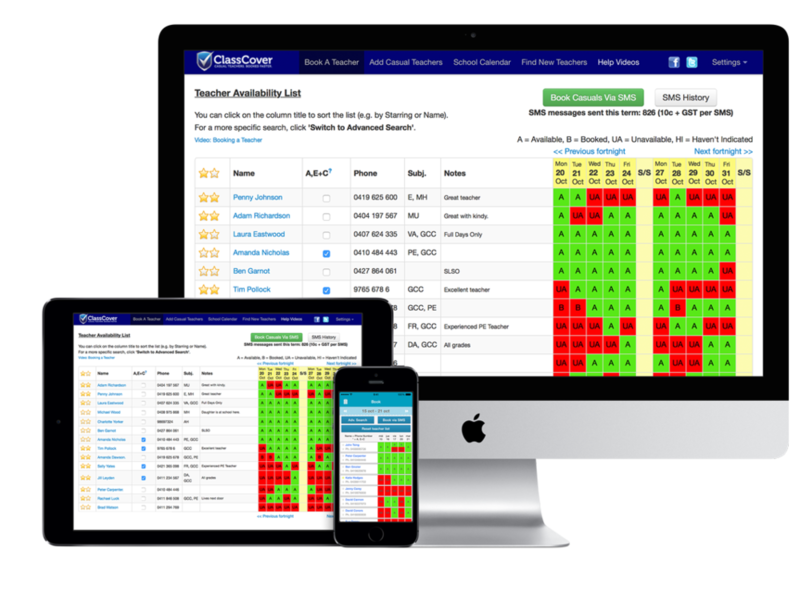 Know exactly when each of your teachers can work and eliminate wasted phone calls! Short-list your preferred teachers and even choose the prioritised order in which they will be automatically alerted. You receive an immediate notification to your phone when your teacher(s) accept. The absence is automatically recorded in your payroll report and your colleagues receive an instant email. A free 30 day trial let's you determine if it's right for your school. Over 2,200 schools already think so. Unlimited bookings, no fees or commissions, and it’s free for teachers! Take advantage of a free trial to see how simple booking relief teachers really should be.